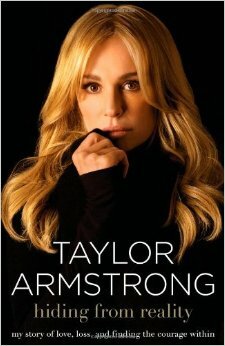 A chronological nightmare, Taylor Armstrong reveals the most intimate and painful details of her past relationships in her memoir Hiding from Reality. Providing an appropriate anachronism in the beginning, Taylor begins the book with a brief overview of her husband’s tragic suicide. She then, almost tearfully, opens the door to her heart to describe who she was as a child and young girl and how that person eventually became who she is today. A major theme throughout the book is Taylor’s struggle to find her voice. This leads the reader to believe that she is searching for something that she has never had. No one has ever listened to Taylor, perhaps because she has never had the courage to find her voice, that is until now. ‹ [Radio Show] American Pharoah Wins Triple Crown!